Following on from the strong statements on Sri Lanka made by the International Community on day 1 of the 25th Session of the UN Human Rights Council, the United States and Denmark both added their voice. 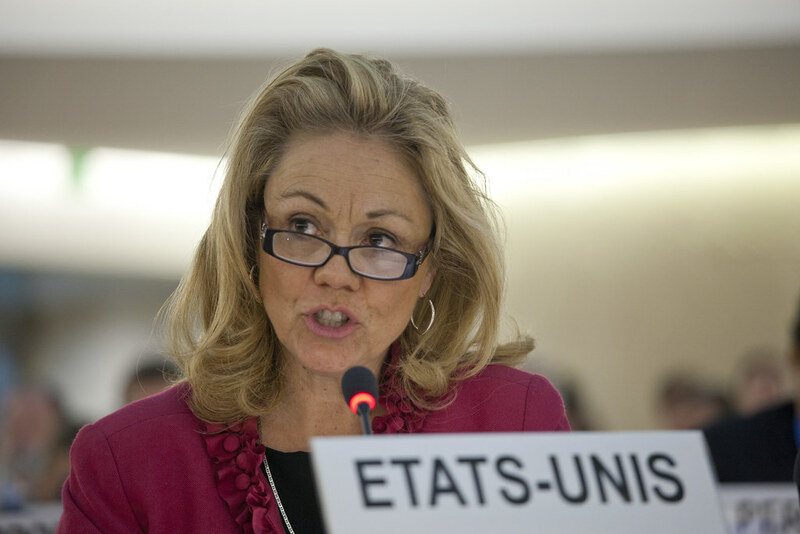 Sarah Sewall, US Under Secretary of State for Civilian Security, Democracy, and Human Rights noted that without rigorous fact -finding that addresses grievances, impunity would be allowed to triumph and new abuses would occur. Sewall said: "In 2012, and again this year, this council urged the government of Sri Lanka to launch an independent investigation into the deaths of thousands of civilians during that country’s terrible civil war. To date, the government has refused. Accordingly, the United States has introduced a resolution this year calling upon the Office of the High Commissioner to conduct an investigation into past abuses and to examine more recent attacks on journalists, human rights defenders, and religious minorities." In his opening statement to the HRC, Denmark's Under-Secretary of State for Legal Affairs, Jonas Liisberg highlighted his government's support for an international inquiry as called for in the High Commisioner's report. “We note with serious concern the recent report of the High Commissioner for Human Rights on Sri Lanka. We support the High Commissioner’s call for an international inquiry mechanism to further investigate the alleged violations of international human rights and humanitarian law,” he said. South Africa's Minister of International Relations and Cooperation, Maite Nkoana - Mashabane's prepared speech posted on the UNHRC website contained comments on Sri Lanka, but we were dismayed to find that her delivered speech omitted all mention. In relation to Sri Lanka, the second day of HRC 25 was dominated by expressions of disappointment online with regard to the leaked draft resolution by Tamil and non-Tamil NGOs and campaigners. However some INGOs also expressed their expectation of a strengthening of the resolution in the remaining weeks. If you missed our breakdown of Day 1 of UNHRC 25, make sure to read it here. Up to date with days 1 & 2? Go on to our summary of days 3,4 & 5 of UNHRC 25.